Randy Joe Brault of Freedom passed away unexpectedly on Friday, January 25, 2019 at the age of 60. Born on July 6, 1958 in Indianapolis he was the son of Germinal Brault and Alma (Lester) Brault McGuire. Randy met his wife Wanda (White) Brault when she was just 16 and a 34-year loving relationship started. He worked in the logging industry. 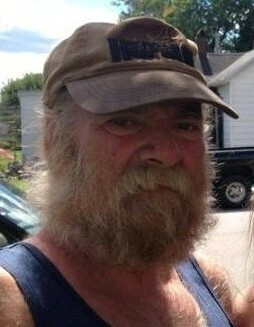 Randy was an avid outdoorsman, loving to hunt, fish and be one with nature. Randy could always be counted on to help his family, neighbors and friends. Randy leaves behind his wife, Wanda; children, Jeremy Koontz (Misty) of Clarksville, TN, Laura Potter (James) of Freedom, Jessica Mauder of Freedom, Crissinda Brault of Bloomington, and Nikota Brault of Bloomington; eleven grandchildren; siblings, Richard Brault of Freedom, Iris Ritter of Bloomington, Linda Smith of Bowling Green, IN, Marsha Smith of Coatesville, Sue Blacklidge of Spencer, and Joyce Crawford of FL; mother in law, Viuca Wilson of Jasonville; brothers in law, Larry White of Bloomington and Tony White of Linton; and many nieces and nephews. He was preceded in death by his parents; five brothers, and father in law, Damon Everett White. A memorial service will be held on Saturday, February 2, 2019 at 1:00 p.m. at the Freedom Community Center, 5558 Freedom Arney Road, Freedom, IN. Chandler Funeral Home in Ellettsville is assisting with cremation arrangements. In lieu of flowers contributions may be made in Randy’s memory at the memorial service to assist the family.